Understanding Print-on-Demand: Follow the Money to find out how authors, publishers, retailers and distributors profit from this new technology and how authors have found a way to make completely passive income. Publishize! by Susan Daffron explores print on demand distribution and online marketing for self-publishers. It’s strong in teaching self-publishers how to market their books online. 3 Keys to Setting Up Successful Book Pages for self-publishers. Defining the typeface, line length and leading help determine the overall look of the book. Make sure to get these elements right. 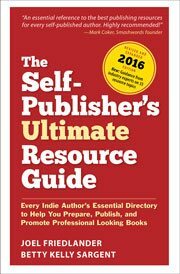 Start Here: Marketing Your Book for self-publishers and indie authors. Links to articles to help get started finding the audience for your book. This is the seventh in a series. Apple’s Pages ePub Export: First Look at a consumer-level software tool that will make it easier to self-publish to many ebook readers including iBooks for reading on Apple’s iPad, iPhone and iPod Touch.